Tsepiso Nzayo is an Eastern Cape comedian from Grahamstown. He is like nothing you have ever heard before, in a good way. As soon as he leaps on to stage, he owns it. Drawing inspiration from life itself, he has the ability to take the most mundane things, give them an injection of life that will leave you in tears with laughter. Although his career is still in its infancy he has shared stages with comedic giants such as Loyiso Gola, Ndumiso Lindi and Zimbabwean Carl Joshua Ncube. He also had a weekly slot on Mhlobo Wenene for nearly an entire year between 2012 and 2013. His comedy days began when he realised that he was unrivalled at ‘ukugorana’ (a popular teasing childhood game) with his childhood friends. This flair finally took shape when he decided to turn the tables at a rather sombre poetry evening. In true Tsepiso style, he transformed the entire atmosphere, those who were sobbing from the bleeding open poetic letters were now in stitches and howls of laughter. It is one thing to make a crowd laugh in a comedy show, who had come to expecting to find humour in anything you said but it is truly extraordinary to make a crying crowd erupt into laughter. From that day he knew that this was where his calling lied. 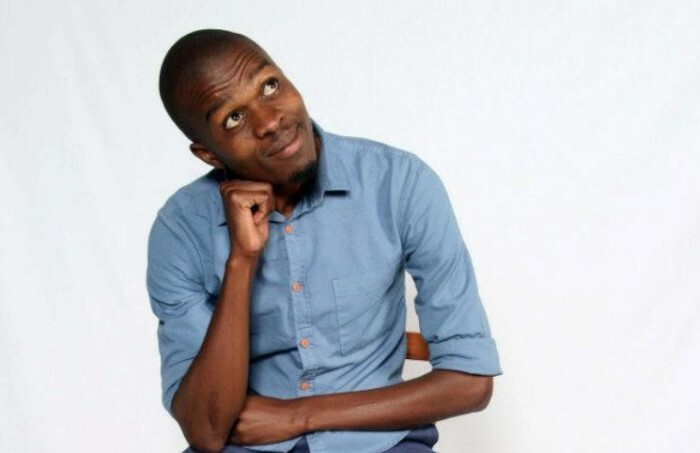 Nzayo is definitely not your average comedian who took to the microphone as a means to an end. He holds an Honours degree in African Languages. The promotion of reading and African Languages lie is the heart of his work. He has chosen the stage as his form of protest in bringing about awareness to these issues. This is especially evident in his work with Nal’ibali where he is a cluster mentor. It is thus no surprise that Nzayo’s greatest aspiration is to host an entirely Xhosa one man show. As if comedy and toyi toying’ for African Languages and reading were not enough. He is also a sought after MC, with prestigious events such as the University of Fort Hare Dance Reunion, Makana Municipality Name Change Debate and the Rhodes University 2nd Multilingualism Awareness Colloquium under his belt in 2013 alone. Nzayo is undeniably a torch bearer in the Eastern Cape comedy circles and brings something creatively new to the scene. There is a subtle relatable intellectualism to his comedy that is sure to intrigue, inspire and compel any audience to roll on the floor in hysterics of laughter. A national poetry competition I was MCing at Rhodes with Virgil Prins. A sold out one man-man show by Tsepiso Nzayo that hosted in Grahamstown. A show that was created for a good cause to contribute proceedings to Home of Joy Orphanage Home in Joza (Grahamstown). The event was supported by: Mbu Many Laughs, Words Anthem – an acoustic soul band from Port Elizabeth. Brief video of the whole show. Pre and Post event.